Karol studied Economics and Finance at the Warsaw School of Economics. He also completed CEMS Master in International Management and was studying at Erasmus University Rotterdam School of Management. Karol also acted as the President of the Global CEMS Student Board 2013, managing an international team of 27 people representing interests of all students from 29 top business schools worldwide in the CEMS Global Alliance in Management Education. While in DC, he was interning at a federal agency, the US Small Business Administration. Karol is passionate about innovation and education and wants to help create and restructure universities. He believes that only a close cooperation among companies, alumni and academia can help create globally-competitive graduates and assure a development of non-obsolete curricula. 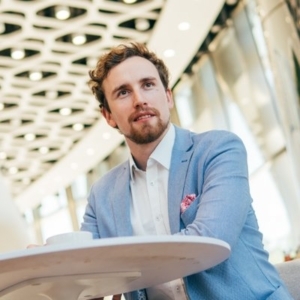 Karol wants to combine his passion with an expertise of CEMS to advise governments, universities and companies to focus on innovation and entrepreneurial collaboration.